As mentioned above, with three boys, finding a babysitter is tough, and it’s expensive to go out to dinner; so we’ve made it a tradition to have a nice Valentine’s Day family dinner at home. My youngest (6) calls it fancy because we use the “fancy” glasses; where my boys fill our crystal, port wine glasses with Capri-Sun and Kool Aid to match the grown up wine glasses. Valentine’s is a great time to find deals on lobster, steak, and other generally pricey food items so we take advantage. If you want to go with something not so fancy for you Valentine’s Day family dinner you can keep it simple by making a heart-shaped pizza together. It’s fun and simple, and who doesn’t love pizza? If you are in town, you can take the family to Rink at The Rock. It’s the last weekend they’ll be open for the season and an excellent opportunity for your kids to burn some energy. You and your spouse can enjoy a few romantic laps around the rink as well. 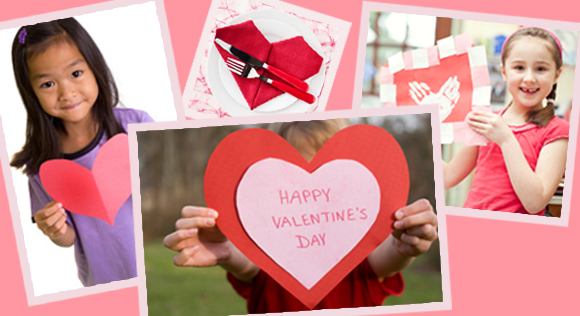 If you don’t want to get outside; spend the day making Valentine’s Day crafts. There is something so nostalgic about making a heart out of construction paper. Decorate the house and get in the Valentine spirit. Pinterest is full of great ideas. After your “fancy” Valentine’s Day family dinner, it’s nice to cozy up on the couch and watch a movie with the family. A Charlie Brown Valentine or a Disney Movie like Lady and the Tramp are good Valentine’s Day themed movies your kids will enjoy. After the movie, put the kids to bed and you and your valentine and can enjoy a more romantic movie. What are some of your Valentine’s Day on a budget ideas? Let us know on The Meadows Facebook page. Enjoy the long weekend!